The ICC and Kenya Parting Ways? What it Means and What it Doesn’t. UPDATE: Kenyan Parliament has now approved a motion to withdraw from the ICC. A bill will be introduced to this effect in 30 days. Opposition MPs boycotted the vote. For a new post on whether the vote was in vain, see here. 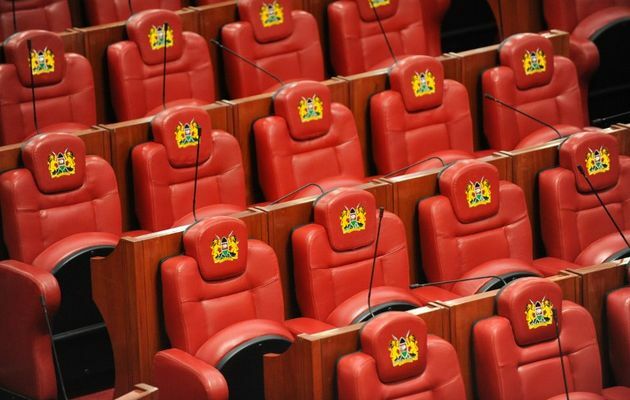 By now, readers are likely well aware that Kenya’s Parliament is on the verge of voting on whether to withdraw from the International Criminal Court (ICC). This comes just days before the trial of William Ruto is set to begin in The Hague. 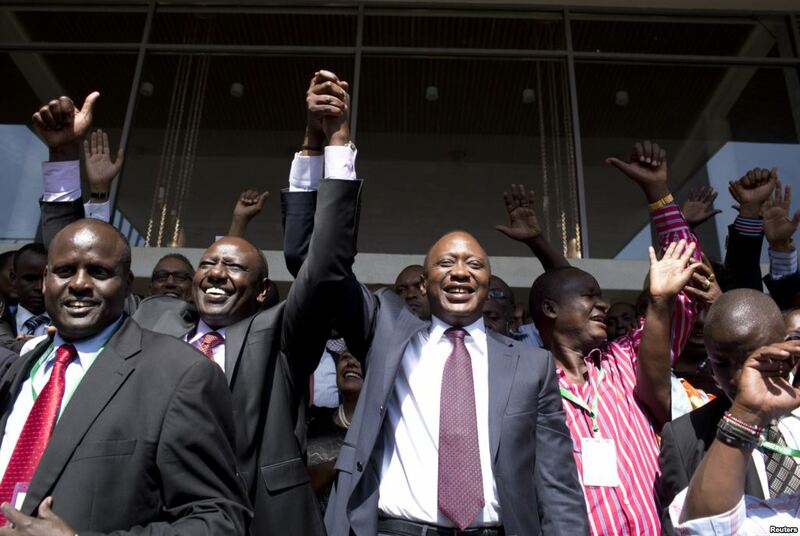 Given the dominance of the Jubilee Alliance, which brought together Uhuru Kenyatta and Ruto (both of whom have been charged by the ICC for their alleged involvement in the 2007-08 post-election violence), it seems like a foregone conclusion that a motion to withdraw from the Court will pass. What is less clear is what that means for Kenya, the ICC, the relationship between the Court and African states, and the Kenyatta and Ruto cases. That, aware that the Republic of Kenya promulgated a new Constitution on 27th August, 2010 which has fundamental changes in the circumstances relating to the governance of the Republic; aware that the Republic conducted its general elections on the 4th of March 2013 at which the President and Deputy President were lawfully elected in accordance with the Constitution of Kenya; further aware of a resolution of the National Assembly in the Tenth Parliament to repeal the International Crimes Act and to suspend any links, cooperation and assistance to the International Criminal Court ; this House resolves to introduce a Bill within the next thirty days to repeal the International Crimes Act (No 16 of 2008) and that the Government urgently undertakes measures to immediately withdraw from the Rome Statute of the International Criminal Court, adopted by the United Nations Diplomatic Conference of Plenipotentiaries on 17th July, 1998. And here are a few quick thoughts on what I think it means and what I think it doesn’t. As the Court has made clear, regardless of whether or not Kenya withdraws, the ICC cases will go forward. Legally, withdrawing from the Rome Statute will have no effect on the trials of Ruto or Kenyatta. While the vote is a potentially potent political move, to quote Bill Pace, “Kenya gains no legal advantage by withdrawing from the ICC.” Importantly, a withdrawal would only be effective 12 months after any decision to withdraw was made. To date, the ICC has not issued arrest warrants against either Ruto or Kenyatta. Instead they remain under summons to appear at ICC hearings. So far, they have cooperated with the Court. Critically, this has allowed statesmen, diplomats and heads of state to meet with Kenyatta in person. Had Kenyatta been indicted by the Court, meetings with individuals like the UK’s PM David Cameron would have been impossible. If the vote to withdraw passes, the likelihood that the Court will issue arrest warrants increases dramatically. This is because Ruto and Kenyatta are very unlikely to continue to cooperate with a Court that their country has just voted to withdraw from. To do so would be confusing and look silly. With arrest warrants, however, Ruto and especially Kenyatta will join ranks with Omar al-Bashir as international pariahs whose diplomatic travel plans are highly limited. Seriously. Has any ICC member state come out and stated that Kenya’s withdrawal would be a regrettable step backward for international justice and for accountability in Kenya? I haven’t seen anything to date. This vote has been in the works for days now and even the United Nations has been precariously silent on the matter. It’s just an idea, but if Kenya goes ahead and withdraws from the ICC, I think it would be smart move for human rights NGOs and Kenyan civil society to push for the UN Security Council to intervene and perhaps even refer the 2007/08 post-election violence to the ICC. Of course, it wouldn’t make much of a legal difference given that Kenya’s withdrawal won’t affect the ICC’s cases. But it would be an important endorsement of the ICC’s work and the need for justice and accountability in the country. Will the rest of Africa follow suit? This is the question everyone wants answered. Is Kenya’s potential withdrawal from the ICC another blemish on the ICC’s relationship with African states? Yes. But I really don’t think that the rest of Africa will take inspiration from Kenya and suddenly depart from the Rome Statute on masse. I don’t think we will see a spate of Parliamentary votes across to withdraw from the ICC. Undoubtedly, many African states will voice their support for Kenya’s fight against the Court – as they consistently have. But every African state has its own political calculus and its own political logic. Leaving the ICC is not a pressing issue in any other African state and states tend not to do things they don’t think they have to do just because another country did. As importantly, it is more politically sensible to remain part of the ICC system and selectively endorse and criticize it from the inside. This entry was posted in International Criminal Court (ICC), International Law, Justice, Kenya, Kenya and the ICC and tagged Kenya withdrawal from ICC, Uhuru Kenyatta, William Ruto. Bookmark the permalink. 24 Responses to The ICC and Kenya Parting Ways? What it Means and What it Doesn’t. UN won’t do anything about nothing, shown that with Libya. These type of statements are making the case against the ICC: “”I have been jailed, detained, humiliated and have seen every suffering that a human being can go through but I will not waiver and stand by falsehoods. While everything appears to be okay I and other witnesses I know of have undergone great psychological trauma, physical abuse and separation from families,” the witness wrote. He said some ICC officials changed his evidence against his will and he was arrested for a year and his children sent into a foster home when he refused to sign it. He said that the witnesses were taken to the Holiday Inn Hotel in Leiden in the Netherlands where they were coached and given tips on how to present the evidence in court. Are you able to confirm that this person, who has even refused to give his name or any other details to the media (see The Star article as well) was indeed scheduled to be a witness. That also goes for the alleged 7 withdrawing witnesses. Do you have any information beyond stories planted in a Kenyan media whose notoriety for “eating” is well known? Has anyone in Kenya even seen any of these alleged withdrawing people. Oh, don’t forget: the trials start next week. Kenya has stated that in as far as the 2 cases are concerned, they will continue to cooperate and have even amended the motion that passed today to make that clear, but withdrawal is now unstoppable. I find your hopeful reference to African nations as not following suit (not to mention the subtle threat of punitive measures against Kenya for withdrawal) as hilariously naive. It just points to the western mindset of consistently failing to understand how emotionally many Africans view the ICC, more so that it is a european/western/white man’s institution for the continued and manipulative exploitation of African vulnerability as poor nations, to the advantage of the exploiter so as to continue access to Africa’s resources on the cheap! This has in turn created an enormous and even hostile resentment against the court, and if you think the withdrawal will not have an impact, i say..watch this space. This move was actually sanctioned during the AU summit in May and Kenya was tasked to initiate the process, with timing at its discretion..more surprises are on the way. The AU members know where their aid comes from. At the annual meetings they will, as they do every year, make plenty of noise but that’s it. There will be no mass withdrawal. And don’t forget that almost all the cases at the ICC were sent there by the very same members of the AU! Dream on. You do not seem to appreciate that African leaders are first and foremost political survivors, and the cutting off of aid has no bearing whatsoever on political calculations when their interests are threatened. The west cut off aid to Moi in the 1990s, but he never changed his oppressive policies and indeed ensured that he manipulated and survived the isolation. In this regard, it has dawned on the AU leaders that the ICC is indeed a tool that can be used against their personal interests, whether political or economic, and they will therefore do what they have to do to ensure the ICC is severely weakened. Politics in Africa is just like survival in game parks between predators and prey and it is up to antagonists to decide what they want to be. The leaders have seen how easily the west can pick off African leaders one by one and finish them off, and they realise that unless they present a united front, they will be hanged separately. These leaders signed on to the ICC in good faith, never believing or blissfully unaware of Bill Clinton’s warning that the court could be politically manipulated. Those days are over. One would think that Kenyans, and anybody else for that matter, would want immediate justice for PEV victims, and not through an ICC process that takes years and has a very poor record of conviction – only one in 9 years of existence. We have a new reformed judiciary in Kenya, and it is curious to say the least, that the same NGOs who toot their horn at the ICC, such as the AFRICOG NGO that itself receives funding from the ICC, USAID and Soros Open Society Institute, goes to Kenya’s judiciary to seek justice for its interests. Why then would those who purport to seek justice for PEV victims not practice what they preach and do so at a judicial institution which will dispense justice as quickly as possible and at the earliest opportunity? You are therefore defeating your own argument just like the NGOs and your motivation for touting the ICC is motivated by other desires not justice. It is not hard to determine what those motivations are. It’s now been almost 6 years since the PEV. What has the government of Kenya done about dealing with those responsible? Remember that the ICC is intended to deal only with those who bear the greatest responsibility and that the rest are supposed to be dealt with by the court. “ONLY KNOWN”. That is why the ICC is especially important. —Why should the rest of the word care about a foolish and self-defeating action? This is another useless political stunt, like the UNSC and AU nonsense. —An odd idea, despite your explanation; the case is already at the ICC! If the UNSC wishes to show its support it can do so in other ways. — Actually it’s not that consistent. The usual noises are made during AU meetings then people go home and remember where the aid comes from? How many times did Jean Ping, in 2011 and 2012, promise us a mass withdrawal over these same cases? How many times did the AU promise us the same over the Sudanese cases? And? Take a look: how many African countries are RIGHT NOW making any noises over the Kenyan cases? HERE IS THE MOST IMPORTANT THING THOUGH: THE TRIALS WILL STAR NEXT WEEK. Over the Sudanese and Kenyan cases, especially the latter, the ICC has had every possible thing thrown at it by knuckleheads in the AU and others supporting the criminals. But the trials start next week. Let’s keep eyes on the ball! Christine Van Den Wyngaert said on Saturday she had doubts the prosecution had carried out proper investigations into charges against Uhuru Kenyatta and William Ruto, Van Den Wyngaert’s colleagues also criticized prosecutors for failing to tell Kenyatta’s defense lawyers a crucial witness was not present at a meeting where prosecutors alleged acts of violence were planned, saying the prosecution made a “grave mistake” in not doing so. Recently the lead judge said Bensouda had “ambushed” the Ruto lawyers, and just a few days the single judge refused to amend the charges. You will correct me if I am wrong, sure of that. An international criminal court should be of the highest caliber possible. Bensouda has not shown that to me. Wonder if she has not given the same impressions to Kenyans. * Van Den Wyngaert that people get excited about were in the Uhuru case. Nothing to do with Ruto. * MOST SIGNIFICANTLY: her separate opinion then was not a DISSENTING opinion, and she could have issued one if she felt things were the way you claim she felt. Regardless of what she had to say, she agreed the that the OTP has enough serious juice on Uhuru for the case to continue. * “Recently the lead judge said Bensouda had “ambushed” the Ruto lawyers”. I encourage you to read the actual decision and not just rely on Kenyan media. For one, the opinion of that judge was one of 14 judges who considered whether to have the 5 (FIVE!) days of opening the trial in Kenya. Second, that judge was the very same judge whose chamber put forward that idea. Would it be logical that he might want to defend his views when in front of his colleagues? So? There is an application for leave to appeal that. Better you wait. She doesn’t have to show it to you. What matters is what she shows the judges. The trials start next week, so we’ll find out soon enough. The perception is that she is not ethical. Course we shall have to leave it at that as we shall never agree. Fellow Africans, Let us look at the situation at home! Do we have real democratic governments or we have governments which used AK 47’s to be in power. What about respect for human rights in all areas? Do we have freedom of speech ? what about a disease called “corruption”! and why is it that we speak one thing when facing one side and when we do a right-turn immediately we speak another thing but it is spoken by the same person! We the so called elites its our duty to help those who can not advocate for themselves and show them the right direction and not confusing them. We live in what many call a global world where it is interconnected, there is need to check the imbalances which exist between the so called developed countries and the developing countries. We can only achieve that by supporting the ICC to check on the untouchable African leaders who are confusing the masses for their own selfish ends. Thanks for this timely comment, Mark. For now, I think Parliament’s move raises more questions that it provides answers. In contrast, if Parliament wanted to repeal the International Crimes Act (ICA), it could simply have done so by passing a bill, rather than passing a motion saying that it intends to do so within the next 30 days. Whether the ICA will be repealed will obviously depend on the outcome of the vote on such a bill, not the passing of today’s motion. And what purposes would repealing the ICA serve? Leaving aside that, from an international law perspective, it is clear that neither withdrawing from the Statute nor repealing the ICA would have any impact on the obligation to cooperate with the Court with respect to the ongoing cases, should Parliament repeal the ICA it is interesting to note that this wouldn’t change a thing in terms of the obligation to cooperate with the Court on the ongoing cases from a national law perspective. The various obligations that follow from the ICA would continue to form part of Kenyan law for at least a year already because Article 2(6) of the Kenya Constitution makes it clear that “any treaty or convention ratified by Kenya shall form part of the law of Kenya under this Constitution”. In other words, since the Rome Statute will in all circumstances continue to form part of Kenyan law for at least a year, the possible passing of a bill to repeal the ICA would not be helpful if the purpose is to create a foundation in national law for not cooperating with the ICC since such obligations already follow from the Rome Statute, and thus an instrument that forms part of Kenyan law. Excellent article related to this blog. Jonathan can say whatever he wants, as has the AU. The first trial starts next week. Since this was posted Uhuru Kenyatta has defiantly told the ICC he and his deputy will NOT attend court simultaneously. The stage is set for Kenyatta and the ICC to part ways. He now feels safe with China and Russia – he does not need the likes of Obama. By defiantly declaring that he,and his deputy cannot attend court at the same time is the first sign I saw that a reason is being sought for defiance.Ruto has just presented himself for the show…they may even continue playing hide-and-seek until the time for the ruling and then tell the court to go jump in a lake! Kenyatta I believe is looking for a reason to force the ICC to issue an arreast warrant,and then he can stay put.Nobody can do anything about it. It is historical,and it’ll set the precedent for future criminals.Within weeks it’ll be all out in the open. Kenya is disagreeing what it agreed becoz of what it is seeing yaani thuluma da way Israel withdrawn en followed by uk,india us and other paving da 4 kenya.